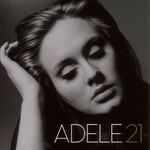 Adele’s debut album 19 was released in 2008 but its memory was revived during last year’s second half with the song Make You Feel My Love, cover of Bob Dylan’s hit. The song was performed by X Factor participants that helped it gain another life. It was approximately the same time the singer was recording her sophomore effort 21. While conquering the USA with concerts and taking part in talk-shows, Adele Adkins traveled quite a lot on her bus whose driver proved to be a country fan. Hearing that music the creative personality from Great Britain who had not been well acquainted with the genre before realized that her next step was taking a more dynamic and vigorous direction. Therefore, if her first record was the example of contemporary soul then the new album 21 is a magnificent mixture of country, disco, R&B, pop-melodies and heartfelt soul-ballads in which Adele is second to none today. If many a performer prove on their second albums that they had spend most of their energy recording the debut the British singer is not only an exception from the rule, she is probably the example for all her young colleagues. The album 21 whose title is supposed to reflect Adele’s personal and creative growth in fact exceeds all expectations and sets the modern pop music’s level really high. Performers are going to have to try hard if they want the audience to notice them after such a first class album as 21 is. As a vocalist Adele has reached even greater success – her techniques are flawless, and the hoarse voice is even more powerful and impressive. Yet 21’s principal feature is in the songs themselves. First, they are the eclectic bold rebuffs to her ex which we have not yet heard from the singer, second, they are mid-tempo compositions in which her vulnerability is combined with self-belief, and last but not least, the most beautiful piano ballads in which Adele is bearing naked her soul in front of us. This enormous range of feelings and slants whirling into a storm and smoothing down to a nice nostalgic breeze makes 21 a collection of songs each of which deserves your attention and will certainly become classic of its genre with the time. The only question arising while listening to the album is whether Adele who has raised her own standard that high can continue this way. Her fans believe that if she manages to resist the mainstream pressure and remains herself, her music will always please and astonish. Judging by all she will, and we are only left to wonder how her personal life is going to be because it is there that the singer gets all the essential emotions and thoughts. So, everyone who has just survived breakup and can understand lyrics in English will find a faithful friend and life companion in the album 21. Each song on it is literarily filled with either nostalgia, hope and love which is not over yet or anger and suchlike love. It opens with the first single Rolling In The Deep making you forget what the singer was like on her debut creation and acknowledge that her voice sounds even more confident against the background of an amazing beat in which disco meets country and pop-rock. The same key reigns on the impressive future hits Rumour Has It and Set Fire To The Rain. The first of the two wonderful ballads on the album is Turning Tables. Very beautiful vocal modulations in the chorus of the emotional mid-tempo song Don’t You Remember will leave nobody indifferent as well as the R&B groove and jazzy vocals on the melodious song He Won't Go. The cover of The Cure’s Lovesong is also interesting – a marvelous classic guitar, string ensemble and Adele’s voice are interlaced into a crying-song about eternal love to the one who has left the heroine. Grandiose parts of drums, piano and tubes on I’ll Be Waiting underline the singer’s powerful voice, and suchlike moments are not devoid of their own charm but many will agree that Adele is one of those vocalists for whom just one accompanying instrument is just enough. The brightest example of that is the incredibly emotional piano ballad Someone Like You, which is going to sound best at live performances and its first chords as well as those of many songs from 21 will be met with ovations very soon.